BATE Borisov will today welcome Arsenal at the Borisov Arena Stadium and they will be hoping to stop the gunners from scoring away goals. 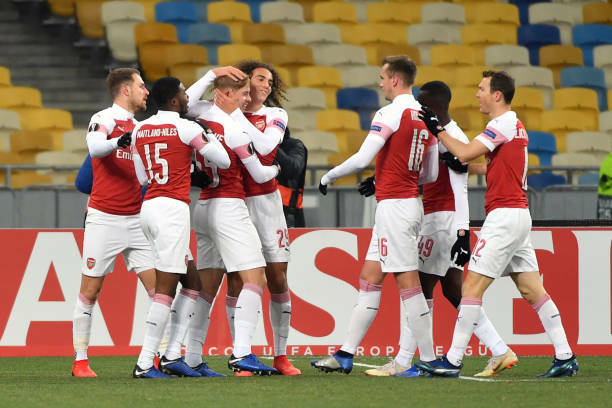 Arsenal will today face BATE Borisov at the Borisov Arena Stadium and it’s going to be a must win game for the North Londoners if they want to qualify to the next round of the UEFA Europa League. Getting an away win would absolutely be a big boost for Unai Emery’s men who are hoping to win this competition this year. The gunners have traveled with a strong squad to Belarus and it seems Unai Emery will want to win the tie in the first leg so that he could field a younger squad in the second leg at the Emirates Stadium but beating BATE Borisov will not be easy since it has home support, and the Arsenal players aren’t used to playing in such temperatures and that pitch. Pierre-Emerick Aubameyang and Granit Xhaka were not included in the squad that faced Huddersfield Town on Saturday because they were not fully fit to play but they are however in the squad that traveled to Belarus on Wednesday so this is a huge boost for Unai Emery since these two will be needed in this game and the upcoming ones. Arsenal head coach Unai Emery will be hoping that his team doesn’t underestimate BATE Borisov since it’s at the top of the table in its domestic league. The gunners came into Belarus last season and were able to get a 4-2 win and Unai Emery will be hoping to get a similar result but the stakes are high this time because they are in the knock out stages while they were in group stages the other time.